Susanne Berkenheger has grown up since 1963 at Stuttgart, Germany. Later on she was a student of literature, then journalist (Süddeutsche Zeitung, Frankfurter Allgemeine Zeitung), hyper-fiction author, player of chat theatre, net art acitivist, satirist (Spiegel Online), sympathizer of account corpses and a sloppy digital territory nurse. Via Nuremberg, Rome and Munich she has come to Berlin. She was awarded international prizes for her hyperfictions “Zeit für die Bombe“ (1997), “Hilfe!“ (1999), “Die Schwimmmeisterin“ (2002) and the english relaunch “The Bubble Bath“ (2005). She has been involved in projects in Second Life and Chat Theatre. Since 2007 you can get the hyperfiction “Zeit für die Bombe“ also as an artist book (designer: Agnes Wartner) and since 2013 as a mobile app. In 2007 she founded the “Movement for Account Corpses“ (2007) which was awarded the CYNETart Award 2008. For the Net Residency of Bremen she created the project “The Last Days of Second Life“ which explored abandoned areas in the virtual world. With the augmented reality project “In Account Corpses We Trust“ the “Movement for Account Corpses“ joined the arOCCUPY May Day 2012 in New York. 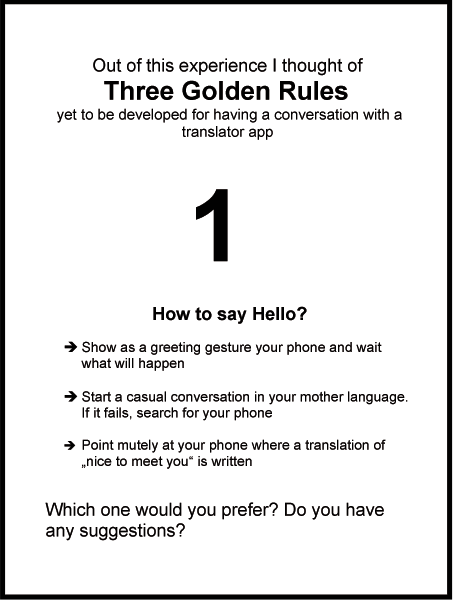 A friend of mine told me that he had lovely conversations with strangers by using a translator app. „No way“, I said and decided to try it out myself. 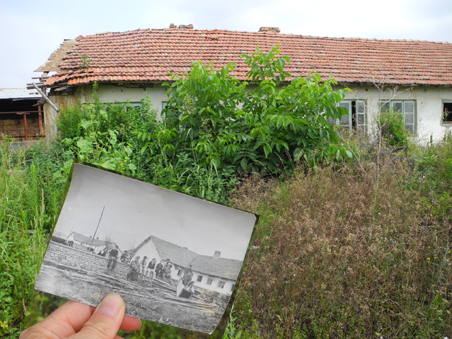 Thanks to Darina Palova and Dimitar Palov who invited me with this project to the Oldschoolresidence 2017 in the bulgarian Gorna Lipnitsa, I could do an extensive testing. The day before my departure I invited the villagers to step by at the Old School to have an App-Talk with me. With a lot of humor, patience and quick-wittedness the ingenieur Elka Ivanova Tzvetkova (first interlocutor) and Hristia Ivanova Hristova (second interlocutor) transformed my helpless efforts to talk to them into the absurdest and funniest conversation experience I ever had. Luckily Radoslav Mehandzhiyski recorded the whole thing. Many warm thanks to all involved! 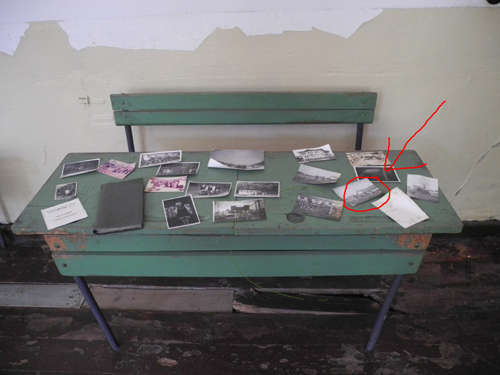 In the Old School I found a photo wondering where it had been taken. I would found that place by asking people in the streets of Gorna Lipnitsa. 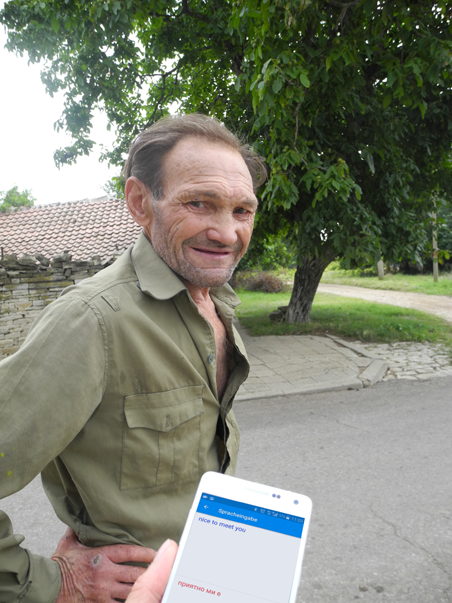 Since I know nothing of the Bulgarian language I would use my smartphone translator. The first conversation I had infront of the main shop was with an old woman who sells milk. She recognized the place from the photo, told me a lot of things which neither I nor the translator unterstood. She indicated me the direction and told me that a German speaking woman, Gerry, who lives in the village, would come to see me at my place. The second conversation I had was with a woman who was doing gardening infront of her house. She showed me a sculpture in her backyard and told me I would need a car to go to the place I was looking for. 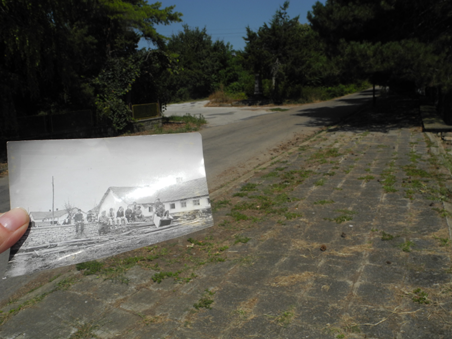 Following the indicated road by foot anyway I met Todor who accompanied me all the way to the old house from the photo. At some point he started talking about bycicles. 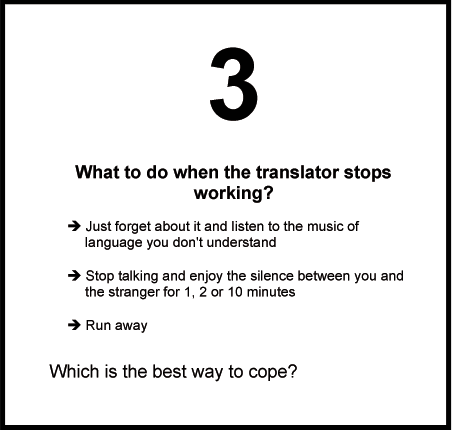 All three were so helpful and unbelievably patient with me and my stubborn slumpy translator. Thanks a lot! Many thanks also to Gerry who came by and explained me what I have been talking about with the above mentioned locals. 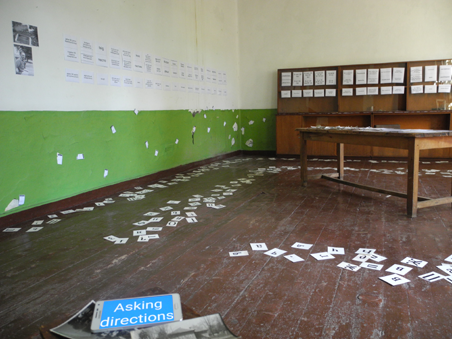 During the exhibition in the Old School you could see parts of the first conversation as prints at the wall. Now you find them down here clicking on the image. Screenshots from the other two were scattered around the room. Now you see them dotted over the website. 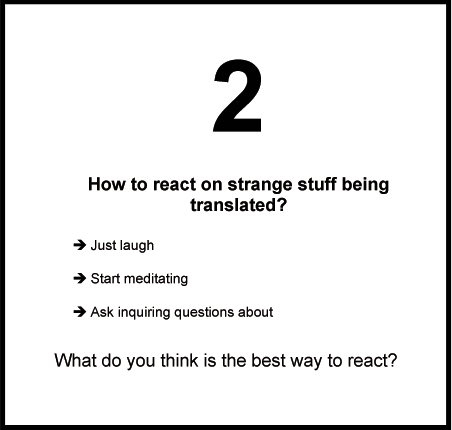 Please feel free to pick or click them up and use them for inspiration, laughing, posting or for whatever you can think of.